Late 60’s and 70’s lo bell bottom shaped pants chala famous. 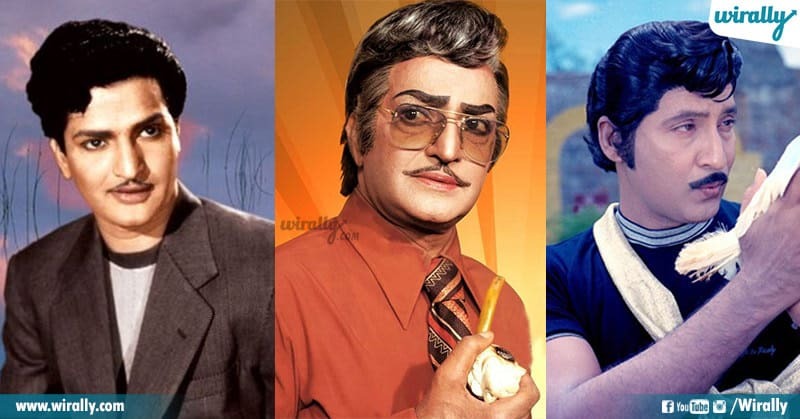 Aa taruvatha 2 decades varaku viti hawaa full nadichindi even mana tollywood movies lo legends like NTR, ANR, Krishna and 80’s lo vachina Chiranjeev, Balakrishna varaku ee trend continue avthu vachindi. Appatlo janalu antha ee fashion ni blind ga follow aipoyaru only because of cinema and cine stars influence. Aa taruvatha 80’s and 90’s Chiru,balayya, Nag lanti vallu antha Baggie pants tho oka kottha fashion statement and trend set chesaru. Only movies eh kadu normal common people lo kuda Bell bottoms and Baggie pants lo separate craze and trend nadichindi. Ika ipudu kotthaga narrow fit ani, ankle fit ani and pencil fit ani market lo maro kottha trend nadustundi. Ila eppatiki appudu trend ni batti change avthu vachina fashion trends ento once chuseddam. Appatlo NTR, ANR and other heroes vari movies lo vesukunna Bell Bottom pants fashion ni mana telugu peaks lo follow aiyyevaru. Even ee pants ki NTR pants ane name use chese varu mari appatlo. Aa rojullo retro shirts trend like printed, striped, and different different colr patterns unna shirts chala vesukunevaru. 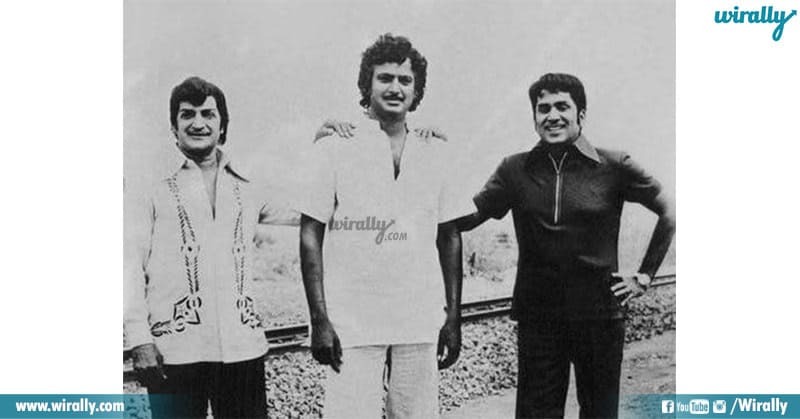 NTR and ANR gari time lo vacchina movies lo pedda collars tho shirts bale undevi. 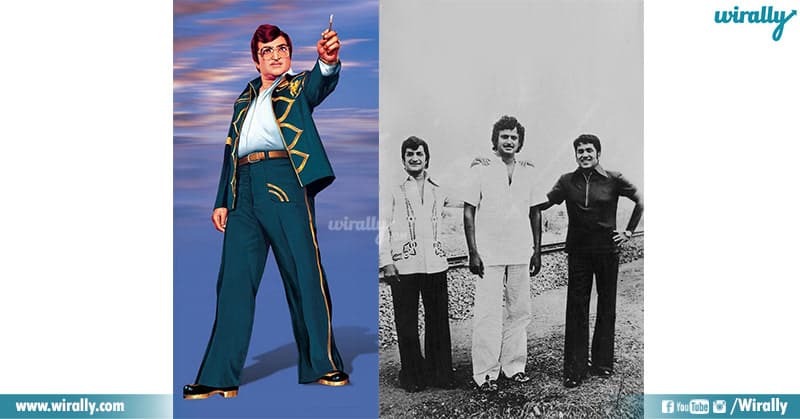 Ika NTR and ANR tharam aipoyaka Chiru, Nag and Balayya and other heroes movies lo ippudu manam vesukuntunna narrow and ankle fit jeans, normal trousers late 80’s lo oka kottha trend chesayi. 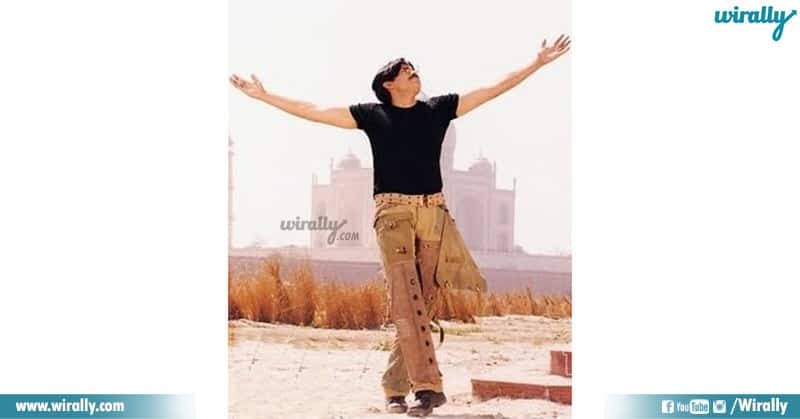 Late 80’s lo vachina Baggie pants narrow fit trousers ki check pettayi. 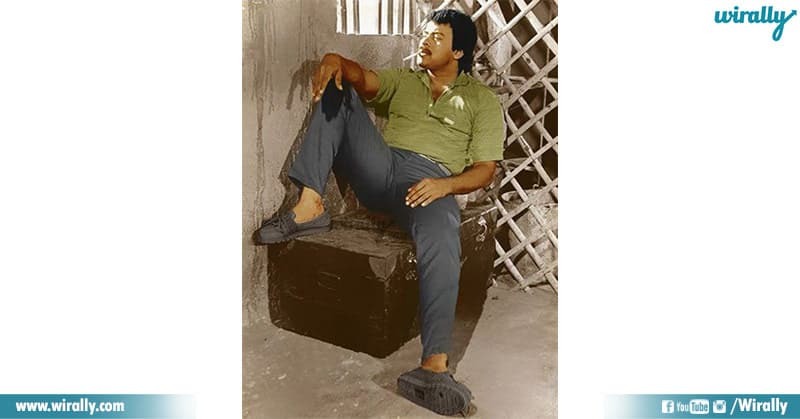 Chiru, Nag, Balayya, Prabhudeva and even bollywood lo Shahrukh Khan lanti varu ee baggie pants try chesaru. Ika janalu kuda thega follow aiyyaru ee baggie pants trend. Only costumes varake parmitham aina movies fashion aa taruvatha loafers and narrow fit casuals and t-shirts tho oka new trend start aindi. 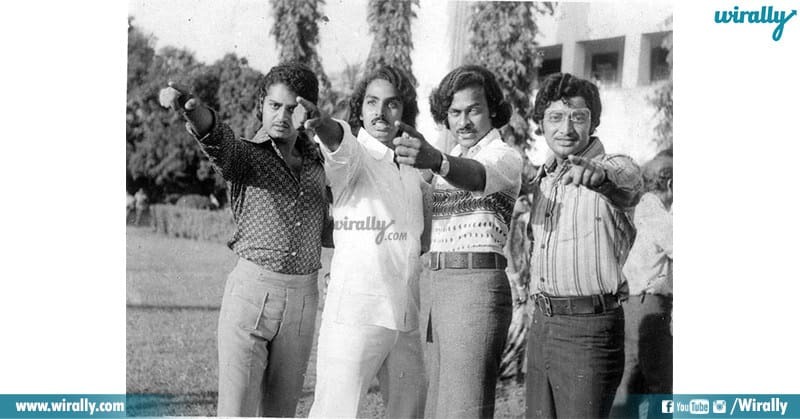 Baggie pant trend avthunna time lo ippudu manam vesukuntunna printed shirts fashion late 80’s and 90’s lo kuda undindi. Ika movies tho patu fashion kuda 20th century loki adugu pettindi. 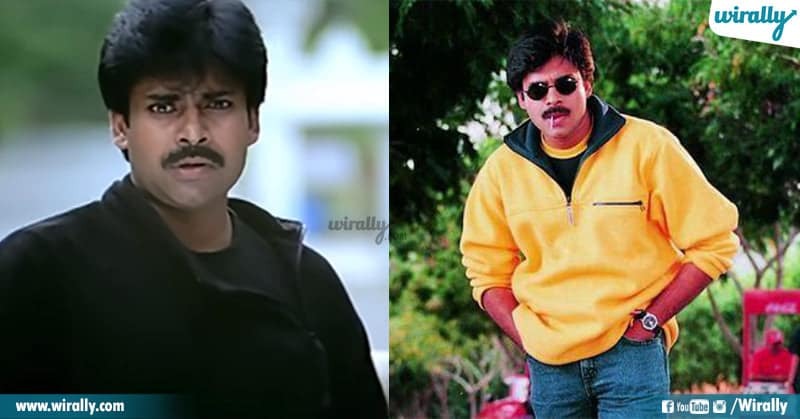 20th century fashion lo chala drastic change vachindi, Nike, Reebok lanti brand jackets and hoodies ni mana heroes follow avadam jarigindi. Ika mana audience ee brand fashion ni chala serious ga tisukunnaru mari appatlo. Ika market loki vachina new denim jeans vatitho patu sweatshirts and Armani designed V-neck t shirts ila inko kottha trend start aindi kuda 20th century lone. 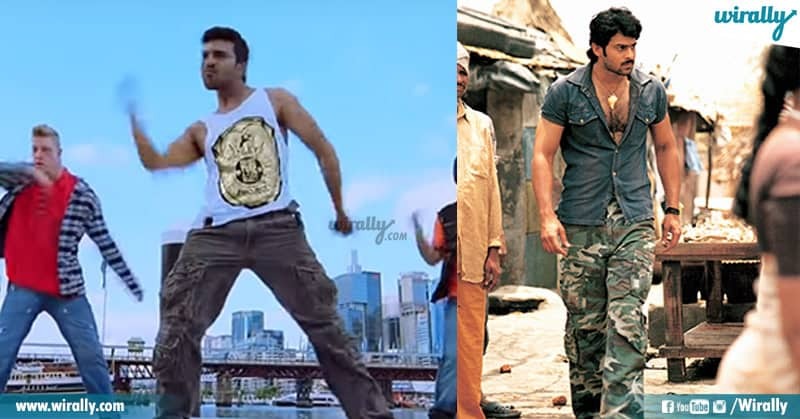 Ika aa taruvatha 2005 lo Chatrapathi movie dwara chala fanous aina cargo pants gurinchi separate ga cheppalsina avasaram ledu anukunta. Ee trend 2005 nundi 2010 varaku chala trend aindi. Ika pothe Pokiri movie lo superstar Mahesh vesukunna double shirts aithe within no time lo viral aipoyayi. 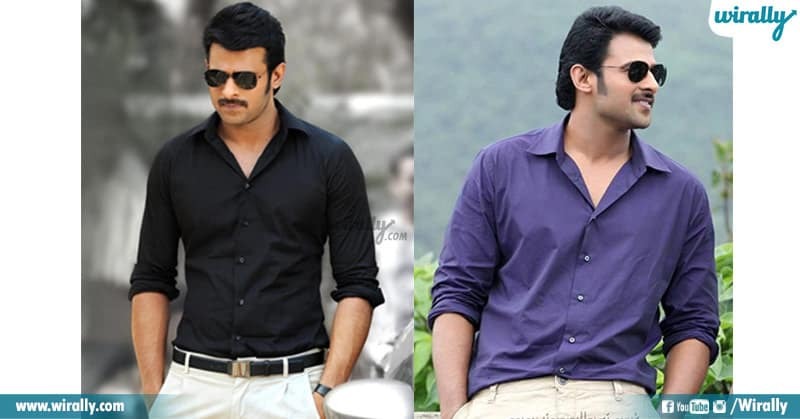 Appatlo evaru chusina ee double shirts l tirigaru mari. Formals ee padam vinte chee formals aaaa…. Anevaru okappudu. Kani Prabhas mirchi movie taruvatha ee opinion mottanike maripoindi. Ee movie lo casuals ippatiki trend ante andi babu. NTR and ANR time lo tidal waves la unde haircut and pedda peddaga unde side locks appatlo full trend. Bigg Boss and Ninne Pelladatha movies lo Chiru, Nag hairstyles full follow aiyyaru appatlo. 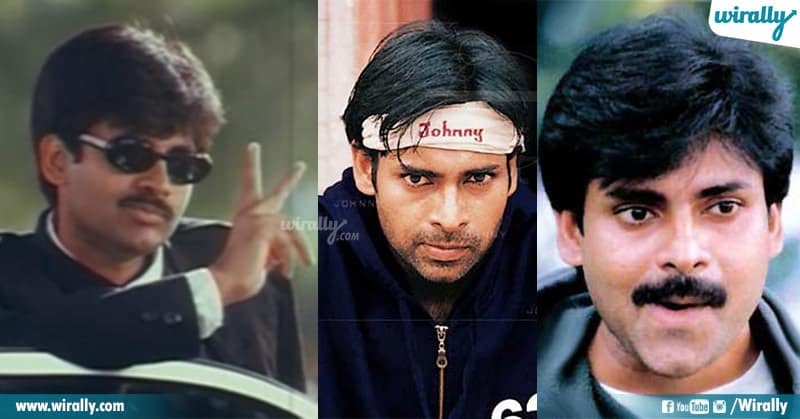 Thammudu, Khushi and Johnny movies lo powerstar crop style anni saloons lo must and should undedi enduku ante public demand mari. Balu movie lo powerstar vesukunna 1 Lakh worth pant kuda appatlo powersatr fans pedda trend chesaru. Ika mana tollywood vallu marchipoina beard look ni malli limelight loki tecchindi Jr NTR ane cheppali. Nannaku Prematho movie lo Tarak beard and crop pedda trend aipoindi. 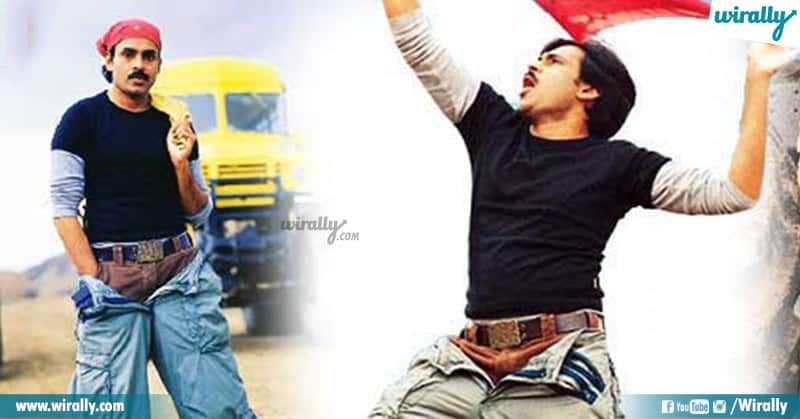 Gudumba Shankar movie lo Powerstar vesukunna double pants kuda appatlo powersatr fans chalane vadaru. 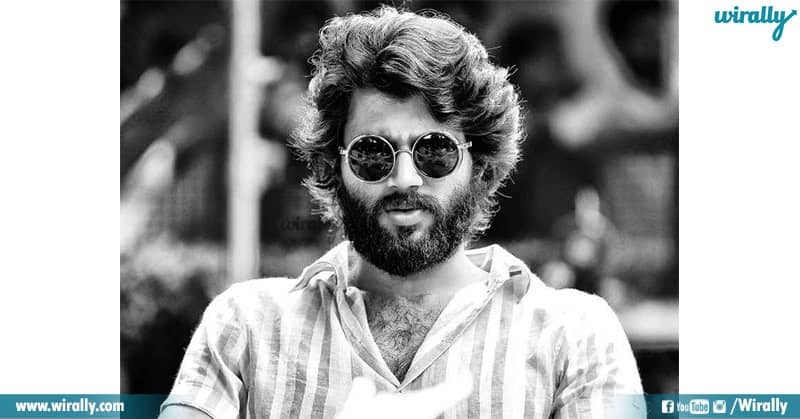 Arjun Reddy movie lo Vijay Deverakonda thick beard and long hairs kuda oka cult trend set chesindi. 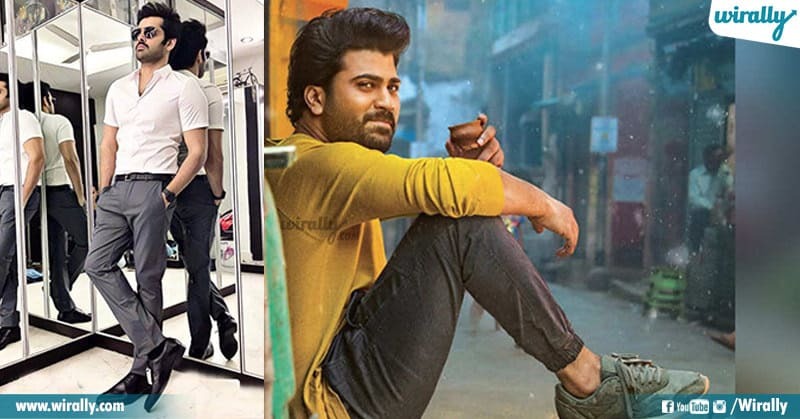 Ika recent times lo vachina movies lo mana heros vesukuntuna pencil cut jeans, formal pants & Ankle fit casuals aithe within no time lo popular aipoyayi. Idi dudes naku telisina cinema fashion kathalu, emaina miss chesthe or miku telisinavi emaina unte comment cheseyandi.